Can there by any truth to the Brett Gardner – Austin Jackson rumor? When Peter Gammons mentioned talk about a swap of Brett Gardner and Austin Jackson, it seemed appalling for two reasons. First, why would Detroit entertain such an idea? Second, why did Gammons claim it “makes sense for both teams”? If this is indeed on the table, shouldn’t the Yankees take it? In the Tigers, the Yankees might have found a team that doesn’t undervalue Brett Gardner. Swapping him for Jackson, who is three and a half years younger and has two more years of team control, would indicate that the Tigers do value Gardner*. It might also indicate that, as they did when they traded Curtis Granderson to the Yankees in exchange for Jackson, that they’re looking to get rid of a player before he becomes too expensive. *Of course, that statement could look a whole lot different if the Yankees are supposed to send additional players to Detroit. A year ago it might have seemed insane to even entertain the idea of trading Jackson. In his age-25 season he broke out to hit .300/.377/.479, upping his power while cutting down on his strikeouts significantly. A year later he looks slightly less impressive, having hit .272/.337/.417 in roughly the same number of PA. A hamstring injury did hamper him earlier in the season. Perhaps the Tigers saw something they didn’t like and now think that perhaps Jackson’s 2012 was a standout he’s not likely to repeat. In Gardner the Tigers would lose a year of control, but they’d gain a valuable player who slots well into their lineup and helps balance their righty-heavy approach. This goes especially after they signed Rajai Davis to a two-year deal. Instead of having the first four hitters in their lineup bat righty — Jackson, Torii Hunter, Miguel Cabrera, and Ian Kinsler, in some order — they can lead off with the lefty Gardner. They might also think it more possible to sign him to an extension at a far more affordable rate than Jackson. Jackson would better balance the Yankees’ lineup as well. Instead of leading off with the lefties Jacoby Ellsbury and Gardner, they could go with Ellsbury and Jackson, followed by Carlos Beltran, Mark Teixeira, Brian McCann, and Alfonso Soriano, giving Joe Girardi his desired lefty-righty split (with interspersed switch hitters). Jackson, who by the eye and generally by the numbers, plays good defense, could show similar value to Gardner in left, since few left fielders can cover as much ground as those two. The trade, then, makes a little more sense from each team’s perspective. The Tigers get a player they can perhaps sign to a reasonable extension (which is probably not possible with Jackson, a Scott Boras client). The Yankees get a young player who gives them an extra year of team control. Both teams gain balance. Yet this move can’t be high on the Yankees’ priority list currently. They have areas of need, and if they’re going to trade Gardner now it would have to help cover one of them. There is no reason, currently, to trade Gardner for anything other than a mid-rotation starting pitcher or a decent second baseman. The latter seems pretty out of the question. The former becomes a difficult proposition if teams don’t value Gardner as the Yankees do. Still, they’ll almost certainly wait out the market, seeing what they can get in exchange for Gardner on that front. If the Yankees sign Omar Infante and Masahiro Tanaka, the situation might change. But even then, I’d rather see the Yankees explore an extension with Gardner than trade him. Given his value, and the reality that he’ll probably get a reasonable contract, it would seem a better idea to keep Gardner for four or five years rather than trade him. If, on the other hand, Gardner isn’t open to an extension, if he would rather play center and lead off for another team, then it’s easy to see why the Yankees would pull the trigger. They get two years of a player with similar current value and a higher upside, at a slightly more expensive rate. The rumor surfaced this week, because this is the week that rumors surface. But at this point, it doesn’t make much sense for the Yankees. Swapping a good outfielder for another good outfielder in order to gain a year of control and balance the lineup is nice, but it can’t be near the top of the priority list. The Yanks have other moves to make right now, and Gardner is valuable to them. If a move like this is to occur, and there is certainly some sense in it, chances are it would come far, far closer to spring training. I’ve got four questions this week, three of which deal with a current or former Yankees prospect. The other has to do with a guy taking up space in the minors. Remember to send in your questions via the Submit A Tip box in the sidebar. Joe asks: Do you think there is any chance the Yanks keep and develop all of the Killer B’s? I know the odds of all three reaching their ceiling and staying healthy are long, and as you or Joe or Ben said last week don’t fall in love with your prospects, but it be nice to see them all on the big club. What % do you think it will occur? If you’ve got three pitching prospects of that caliber, my general (and completely amateur) rule of thumb is that one will reach (or at least approach) his ceiling, one will fall short of his ceiling but still be a productive big leaguer, and the third will be a complete bust. The Yankees exceeded that with Phil Hughes, Joba Chamberlain, and Ian Kennedy, turning them into two viable big league starters and a reliever. Look back at the Red Sox five years ago; they got an ace, a reliever, and a bust out of Jon Lester, Jonathan Papelbon, and Craig Hansen. I’d expect Manny Banuelos to approach his ceiling, Andrew Brackman to fall short of his ceiling but be a useful player, and Dellin Betances to be the complete bust out of the Killer B’s. Nothing personal, it’s just that Dellin’s health record scares me. That said, I fully expect them to trade one of those guys, probably sometime this year. The big league team needs pitching right now, and the Yankees have some high end pitching depth and can afford to move one of those guys. Of course I’d love to see all three of them stay with the team and flourish in the big leagues, but the odds are so stacked against it. I’d give it less than a 50-50 chance that all three will stay with the Yankees for the next few years, and less than a 5% chance that all three turn into productive players. Prospects will break your heart, the Killer B’s are no different than the hundreds that came before them. Nicolai asks: If Kei Igawa was blocking somebody from being promoted to Scranton, could the Yankees just send him down to Trenton, Tampa or Charleston? Yep, absolutely. The Yankees actually sent him all the way down to High-A Tampa for two starts in 2007. Igawa’s not blocking anyone from anything. A different Joe asks: I was listening to the Yankees game and it was the Tigers radio crew. They claimed A-Jax would be a 15 homer and 40 SB guy this season. I personally don’t see this happening at all. Any thoughts on it? This year? No way, not in Comerica. Austin Jackson has 17 homers total in his last 1,816 plate appearances dating back to 2007, so I don’t see a sudden spike happening. I could definitely see 15 homers at his peak, maybe even 20, but 2011 is too soon for that. If Jackson did pop double-digit homers this year, that would mean everything went right for him and he even squeezed in an inside-the-parker or three. Of all the projection systems out there, only CAIRO and ZiPS have him hitting more than six homers, and both forecast seven. I like Jackson and there’s no doubt that he’s an above-average player, but expecting 15 homers out of him this year is a bit much. Even the 40 steals is a bit of a question mark (27 last year), but it’s not as unbelievable as the power numbers. Just for some perspective, only three different players have had a 15-40 season in the last three years, and Carl Crawford was the only one to do it twice. Anthony asks: What’s the projection for 2010 first rounder Cito Culver as a major leaguer? Does he have the potential to be a solid starter on a high caliber team? Culver’s long-term value is going to lie mostly in his glovework, which, luckily, is really really good. Is he going to be Derek Jeter? Absolutely not. 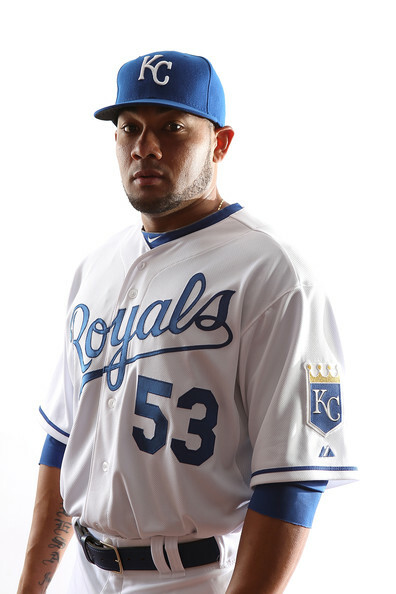 Is he going to be Cesar Izturis? Eh, maybe. It’s always possible. I think the best case scenario for the Yankees’ 2010 first round pick is an above-average defensive shortstop (probably not Gold Glove caliber though) that hits for average, draws some walks, and steals some bases. Culver doesn’t have much power and doesn’t project to down the road, but he’s switch-hitter with some contact skills, and he did manage to a walk in nearly ten percent of his plate appearances in his pro debut last summer. If I had to put numbers on it, which I hate doing, I think his offensive ceiling is something like .300/.360/.400, right around a .350 wOBA. Culver also has the speed and skills to steal a healthy amount of bags, maybe even 40+ in his basestealing prime. Stick that at shortstop over 600 plate appearances with say, +4 or +5 run defense, and you’ve got a four win player. Again, that’s not Derek Jeter, but that’s a player good enough to start on a championship team. Of course, Culver has a long, looong way to go to live up to that potential. Twelve months ago, outfielder Austin Jackson was the lone impact position player prospect the Yankees had above A-ball. Jesus Montero and Austin Romine had about 200 plate appearances combined above the Low-A level, and Eduardo Nunez was coming off a three year stretch in which he hit .243-.286-.329. Now, Jackson is starring for the Detroit Tigers following the offseason trade for Curtis Granderson. Granderson was off to a .314 wOBA start in 91 plate appearances before landing on the disabled list with Grade II groin strain over the weekend while the player they gave up was busy wOBA’ing .411 in 119 plate appearances for Tigers, so we’ve already seen plenty of second guessing about the trade. It’s only natural, but one month is hardly any kind of sample from which to draw conclusions from. Jackson, still just 23-years-old despite being around for what feels like forever, is second in the American League with a .367 batting average which you no doubt already know is fueled by the mother of all BABIP’s: .527. For comparison’s sake, Robbie Cano’s league leading .387 batting average is backed by a .365 BABIP, which is high for him considering his .322 career BABIP, but it’s not completely insane at this time of year. Ichiro had a .399 BABIP the year he broke the all-time single season hit record with 262. That gives you can idea of how absurd Jackson’s luck has been. Outside of Little League, there’s just no way a player can sustain having more than 50% of the balls he hits between the lines drop in for a hit. There’s just no way. Using Derek Carty’s expected BABIP calculator (xBABIP), we find that Jackson would be expected to have a .350 BABIP based on the kind of balls he’s put in play (line drives, ground balls, etc). So we’re talking a 177 point difference here, which translates into 19 13 (!!!) extra hits that the former Yanks’ farmhand has already picked up this season that he normally wouldn’t have been expected to. Assuming those 19 13 extra hits were all singles, he would be hitting just .190-.258-.318 (.257 wOBA) .248-.311-.367 (.305 wOBA) if lady luck weren’t on his side. Jackson’s minor league BABIP is .366 in close to 2,500 plate appearances, so that’s essentially his baseline. The .350 xBABIP is reasonable considering that he’s now in the big boy’s league. All those extra hits are one piece of the puzzle, there’s also all those strikeouts as well. Jackson leads the league with 34 strikeouts, or 31.2% of his at-bats. Just eight players struck out in at least three out of every ten at-bats last season, and they were all three true outcome sluggers (Mark Reynolds, Jack Cust, Carlos Pena, Russell Branyan, etc), not gap-to-gap hitters like A-Jax. As you would expect, the root of those strikeouts stems from Jackson’s plate discipline, which has never been his strong suit. So far this season, he’s offered at 27.4% of pitches out of the strike zone, a touch more than the league average of 26.9%. Jackson isn’t just swinging at more pitches out of the zone than the rest of the league, he’s also making contact on fewer, just 60.3% (64.6% lg avg). that’s no doubt due to a 9.7% swinging strike rate (8.3% lg avg), which is pretty high. Swinging and missing at pitches out of the strike zone is a deadly combination. The strikeouts also impact BABIP, since fewer balls are in play. Jackson was always able to swing and miss with the best of them, but his immense production has masked this deficiency so far. At the moment, pitchers are throwing Jackson a fastball 67.5% of the time, which is partly due to the league making the rookie prove he can hit the cheese before adjusting. Just nine batters has seen a higher percentage of fastballs this year, and they’re all basically no-power slap hitters (David Eckstein, Juan Pierre, Scott Podsednik, Luis Castillo, and of course Brett Gardner). As the season progresses and the league gets two or three or more looks at Jackson, he’ll start getting fed more and more offspeed stuff, which was always his weakness in the bush leagues. The Tigers are getting a tremendous amount of production out of their new centerfielder so far this season, which is great for both the team and Jackson. I hope Detroit uses the hot start to jump in and sign him to an eight year deal and sets him up for life, I really do. However, it’s still far too early to accept this as Jackson’s true talent level, and it’s definitely way too early to start second guessing the deal. We’ve been preaching patience since the first day of RAB’s existence, and there’s no reason we would change that approach now.